Canadian companies are not doing enough to catch up to the competition: Blackberry, KOBO Touch E-Reader and others need to do more to enhance Canada's global reputation as a technology leader. product. Being from Canada myself, it makes this review a little more significant. When I originally bought this E-Reader, I was sincerely doing my best to help a Canadian company. I could have bought a Kindle, and for almost the same price, but I refused, thinking I was doing my national duty to help the local Canadian economy. Not just that, but I have been a regular Chapters-Indigo customer, the company that owns the Kobo ereader (it has since been sold to a Japanese company) But unfortunately this economic loyalty to Canadian products is costing me a lot of frustration, money and time wasted. Googling this issue, it looks like I am not the only one with these KOBO problems, as there are thousands of other frustrated users experiencing the same issues. I understand all products can occasionally have bugs here and there. But they usually get fixed. There is no known fix for these Kobo errors. In fact, even the latest firmware release doesn’t fix the issue. 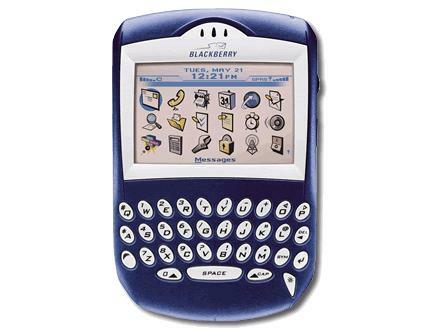 It is no secret that one of the reasons the Blackberry brand has been suffering and struggling a lot of late is due to their sub-par products. They used to be great but have since been left in the dust. If you ask ex-Blackberry users on why they replaced their device with iPhones or other Android-enabled devices, one of the main complaints was about the hardware itself and how poorly designed it was, with certain parts not working after just a few months or device going dead for no apparent reason. I understand these devices are not manufactured in Canada-neither are iPhones and other leading mobile phone brands-but the engineering and design is the product of Canada. The software is the other major reason to blame for Blackberry’s fall from grace. The software was so behind the competition that even those that are not tech-savvy knew they can do better than this. Which brings us to our main question: why is Canada not doing more to fix its image in the global tech industry? it seems like we start very strong and end up crashing to the competition and our own incompetence. We all know Nortel. A company that was once worth worth billions and was the leader in the telecommunication and networking hardware industry. It is now history. Gone. Bankrupt. Liquidated. The same thing could potentially and sadly happen to Blackberry. If this was an Olympic marathon, Canadians would always finish first in the first half of the race but end up losing towards the end, overtaken by new comers to the race. We can start and build a great product but can’t seem to finish strong, especially when rivals are breathing down our neck. We need better focus, more research and just better strategy to deal with a fierce global competition. And while we should always watch what what other industry leaders are doing and not fall behind, it is also important to stayed focused on your product and what made you successful. No need to panic and end up taking steps that lead to your further demise than catching up to the competition. Canada has got the infrastructure, brains, education and all that it takes to be a world, if not of one of the top nations when it comes to technology. Be it in service delivery, hardware, software, networking etc. There is no reason why such giant Canadian companies, ones that make us proud to be Canadian, can fall behind so bad that we end up being ashamed of them being Canadian.